Hey, friends! I can’t believe that May is almost over. I guess in the words of country singer, Luke Bryan, “the days go slow and years go fast.” Is anyone else a fan of country music? 😀 But seriously. Where does the time go? With June right around the corner, I thought I would do a roundup all of my May favorites! I’m not sure if I’ve mentioned this yet, but I am doing a major overhaul of my closet. I have become a bit of a pat rack since college and I’ve come to find out that I don’t even wear 70% of the clothes that I actually own. So in preparation for moving to a new apartment, I decided to clean out my closet and start actively looking for new and versatile outfit pieces for my closet! These sneakers have been my most favorite new pair of shoes this spring! 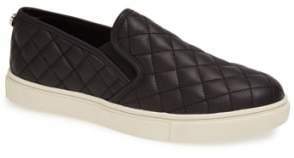 They are incredibly comfy and look great with almost any outfit. It comes in several colors (blush pink, taupe, olive green) and I have half a mind to pick up another pair or two! 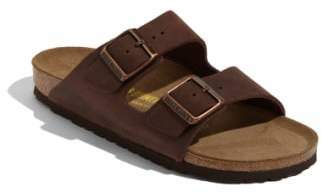 I finally caved and bought my first pair of Birkenstocks sandal. I didn’t really understand what all the hype was about until I put a pair on. You guys…these are so…comfy! They literally go with so many different outfits. It does take a while to break these shoes in but once you do, you won’t regret it. This front-tie short sleeve top is seriously one of my favorite purchases this month! The material is well made and very comfortable to wear even during the summer. I love that the buttons are functional so you can wear it as pictured or as an open cardigan! So, one of my best girlfriends showed me these sunnies! They’re the perfect dupes for the Karen Walker sunglasses that you see all the big bloggers wear on Instagram! This one is much easier on the wallet and super adorable! I was in the market for a new concealer and the reviews for this product was really good! A few of my favorite video bloggers rave about this concealer and I have to say, I could not agree more. The wand applicator makes it so easy to apply. It’s also very easy to blend and has great coverage. It’s also super lightweight and I find that it has minimal creasing around my under-eyes, unlike other concealers that I’ve tried. I got the hydrating formula instead of the matte one because of my dry skin. So far, I am pretty happy with it. This foundation also has an applicator wand which makes applying it super easy. I have used both a beauty blender and synthetic makeup brushes to blend this product in and I am really pleased with the results. I am on a Shonda Rhimes kick! Who else loves Grey’s Anatomy? I remember binge-watching it throughout college and laughing and crying throughout the whole thing! Well, I figured that anything written by Shonda is amazing and I definitely have not been disappointed I finished the whole Scandal series as well as How to Get Away with Murder and both of these shows kept me on the edge of my seat. My most recent Netflix addiction is the comedy/tv drama, New Girl. Has anyone else seen this show? My boyfriend used to make fun of me for watching it but I’ve caught him watching it over my shoulder on more than one occasion! Hehehe. You know how one of the male characters on the show, Nick, thinks that he’s so funny and always make the worst jokes? Justin thinks they’re hilarious! I swear. If you haven’t seen this show yet, I highly suggest it! One of my favorite things to do in my downtime is read. One book series that I am currently loving is this one! Sarah J Maas is an amazing author with great attention to detail. If you love to read fantasy fiction novels with kick a** female characters, I highly recommend this book as well the others in this series! Next Life Update and a New Planner! I’ve been wanting the blush pink ones! I have the classic black ? Ugh I’ve literally seen so many beauty gurus rave about tape shape concealer. I want to try it so bad. I love this post! I honestly bought because of all of the reviews. But I am happily surprised. I love that v neck button down! It looks so comfy and perfect with some shorts this summer! I love classic outfits! I’m more comfort over fashion ? Okay I LOVE the Shape Tape concealer but have you tried the Revolution one?? It’s like, $7 and an AMAZING dupe!! I have not tried that one! I’ll have to check it out!!! I am very into the short sleeved V-neck look. Also….I miss the Taylor Swift country music. Those were the best! Riiight? Country Taylor was so relatable. I loved her! 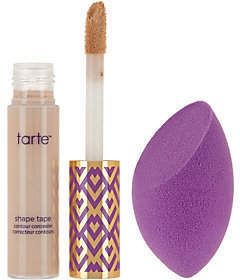 I’ve never used any Tarte products but I’ve seen a lot about them on the blogs lately – think I’ll have to order online! Yes! I think you’ll be happy with some of their products ? 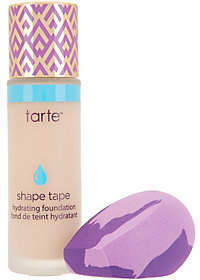 The Shape Tape concealer changed the game when it came to makeup and when I used it I absolutely loved it. I’m the kind of girl to always want to try something new, but I may go back to it one day. I love trying new things! It can sometimes make it hard to stick a ride or die routine though. Love all of these! Cute Steve Madden shoes <3 and I am obsessed with Tarte concealer! I normally try so many different products but I’ve been sticking with that concealer for a while now! Ooh nice! I love the Birkenstocks and the sunglasses, and I’ve been wanting to try the Tarte Concealer for a while. Yes! I totally recommend the concealer! I love country music too! I love this list! Those slip ons are really cute I love Sandal an I have been watching TruBlood on Amazon Prime I have been enjoying it! I’ve never watched that show but I’ll definitely consider it!